BACK ON MARKET after buyer financing fell through! If you want country than this unique property is for you. 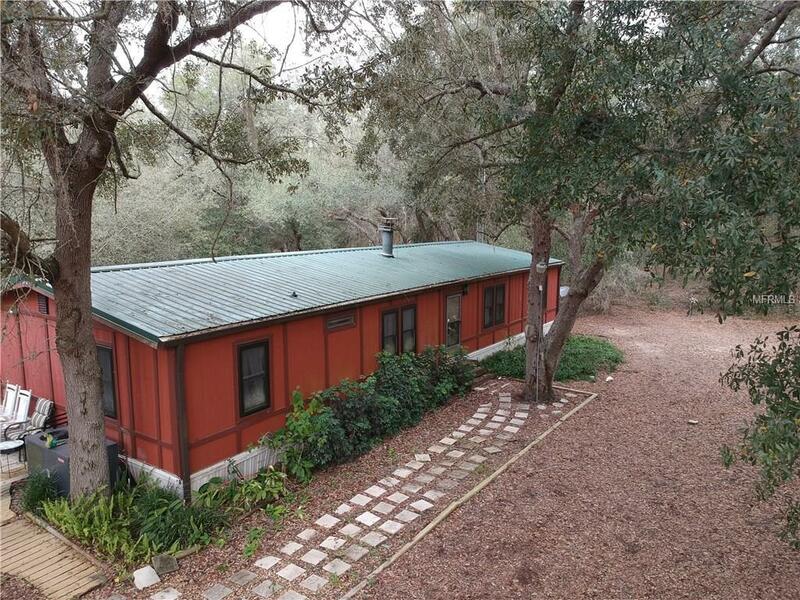 It has a 1600 plus 3 bed 2 bath manufactured home on approximately 5 wooded acres that offers you great views. It has a 16x20 screened in porch with a pan roof to enjoy the nights. The entire back of the home has a wooded deck to entertain all of your guests. At night enjoy the inside stone fire place or the outside fire pit. If you have pets the owner built a kennel that will accommodate several large dogs. The 30 x 40 outside workshop has 3 car garage doors and tons of room for tools, any equipment you have or a great workshop for your business. To access the property you have an electronic gate at the entrance. With just minor cosmetics this can be your country chalet for your family and your outside hobbies. The workshop had a new roof in 2007 and the home in 2006. The A.C. is also new as of 2013. Listing provided courtesy of Florida Real Estate Center Llc.